"So what do you think of my code?" 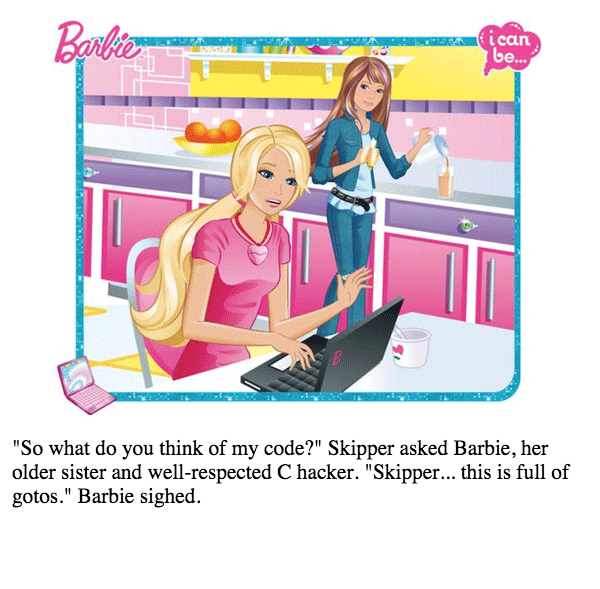 Skipper asked Barbie, her older sister and well-respected C hacker. "Skipper... this is full of gotos." Barbie sighed.